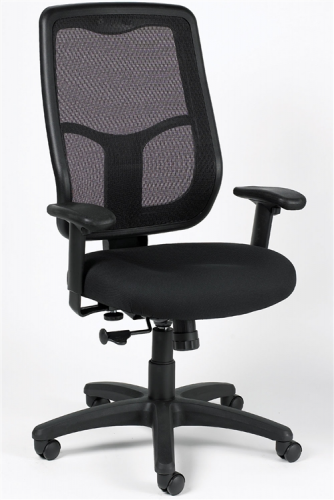 The Apollo Series Mesh Back Task Chairs are durable, quality task chairs featuring mesh backs and mesh fabric covered foam seats. Great for tasking, the Apollo series brings durability and comfort to the user. 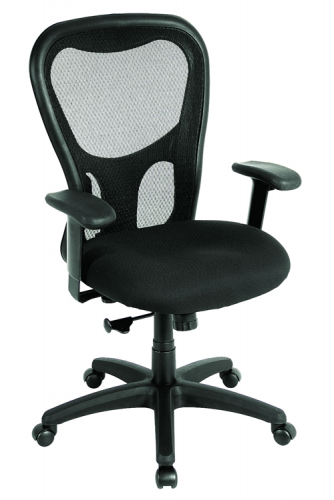 The backrest features built in lumbar support in the curved design and will accommodate most users comfortably. 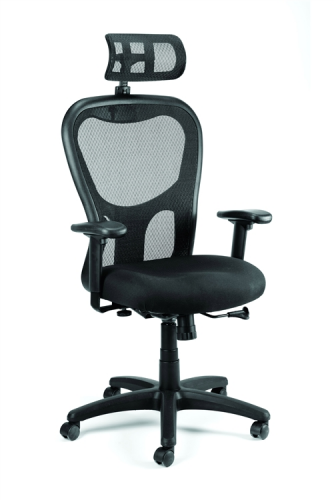 The Apollo series is loaded with features, including height adjustable soft pad armrests, your choice of several backrests styles and controls. 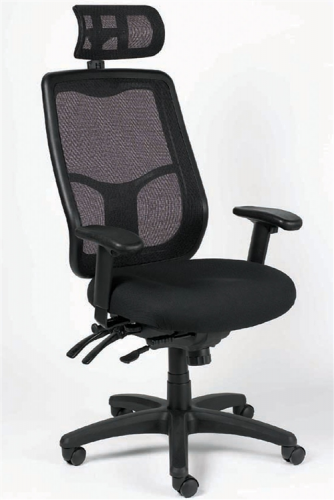 Multi-tilt controls feature tilt tension, tilt lock, back angle adjustment, seat height adjustment, waterfall seat, and forward seat tilt, and optional seat depth adjuster. 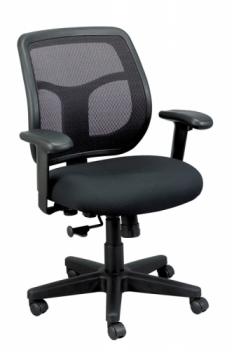 The synchro-tilt control tilt tension, tilt lock, synchronized seat and back movement, and seat height adjustment. Optional Headrest available as an upgrade on high back models. Greenguard Indoor Air Quality Certification. 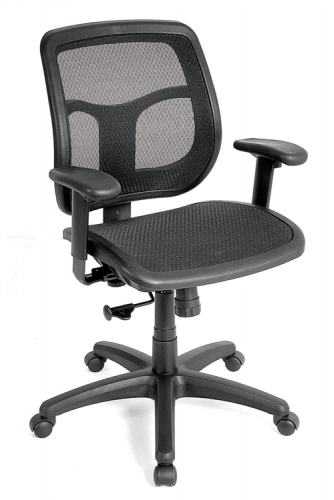 Seat Height Range: 18" - 22"
Seat Height Range: 19" - 22.5"